If your company is planning an office move to, from, or within the Columbia, South Carolina, area, a feasibility study from Relocation Strategies, Charlotte (RSI Charlotte) is an important first step. 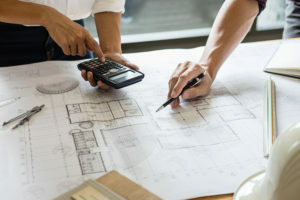 Our project management experts will review your budget and goals and provide an in-depth breakdown to determine if the new office site you’re considering will provide everything you’re hoping for. We’ll also develop budget requirements so you can determine if you need to change the scope of your project before it’s too late. The ultimate goal of a feasibility assessment is to determine whether or not moving to the new office space you’ve chosen makes fiscal sense by showing exactly what it will cost to transform the space into your desired format. We will determine the real costs that will be involved in your project – based on the vendors you will need – so you can negotiate a lease that will provide the tenant improvement funds you will need. If you want to ensure that your company’s office move in the Columbia, SC, area is a seamless one, let Relocation Strategies, Charlotte provide a feasibility study to remove the guesswork. Contact us today to schedule a consultation with our project management team.